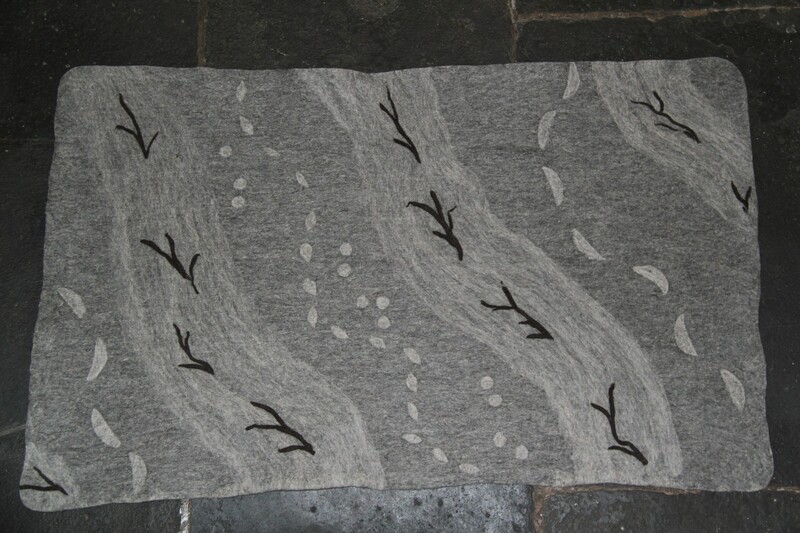 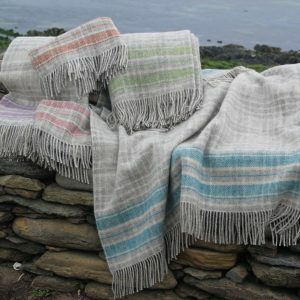 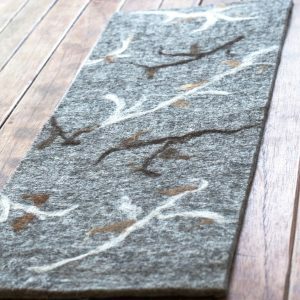 Vibrant and Natural at the same time; North Ronaldsay fleece makes wonderful felted rugs or wall-hangings. 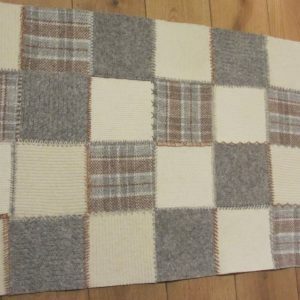 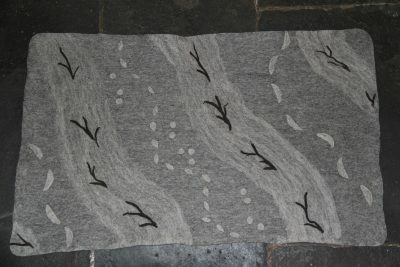 Teresa creates a few designs each year that are thick enough to make a beautiful floor rug or alternatively look stunning on the wall of your home. 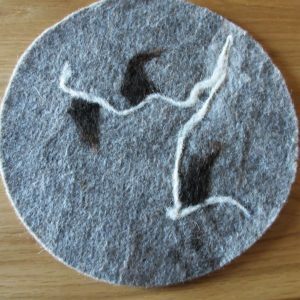 She will make these on commission but there are some designs in our ‘gallery’ that you can choose from without waiting! 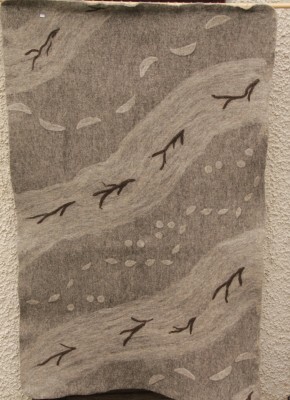 We will send you images of those available on request.